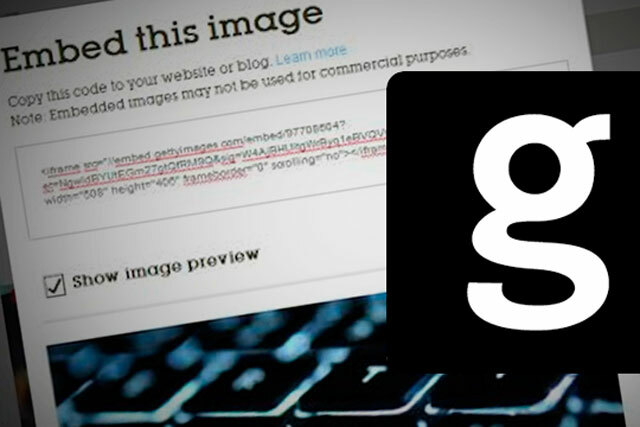 Getty Images has conceded ground in the fight against online infringement of its photos by opening its library of news, sports and entertainment images to people, free of charge. People will be able to embed and share imagery for non-commercial use for free on websites, blogs and social media sites via a new embed tool. Jonathan Klein, co-founder and chief executive of Getty Images, said: "Images are the communication medium of today and imagery has become the world’s most spoken language. Whether via a blog, website or social media, everyone is a publisher and increasingly visually literate. "Innovation and disruption are the foundation of Getty Images, and we are excited to open up our vast and growing image collection for easy, legal sharing in a new way that benefits our content contributors and partners, and advances our core mission to enable a more visually-rich world." The embed capability is supported by anywhere that allows the posting of HTML and will also be able to be shared on Twitter and blogging platform WordPress, which has 75 million users. Getty Images is seeking to harness the power of technology and social media to broaden the exposure of its content and the latest news follows a partnership with Pinterest unveiled in October 2013. The Pinterest partnership sees the social media site pay Getty Images a fee in exchange for metadata and these fees are shared with photographers, who also receive attribution when their content is used.